Golf is considered as one of the highest earning sports in the entire world thanks to the massive payouts some of the biggest tournaments give to their winners. It’s also one of those sports that people often think is rather easy to pick up and start playing, which has led to a massive increase in the number of people who have tried going pro. While it isn’t as easy as it might look to play the game, being good is actually incredibly difficult. Being really good at golf and also being really hot is even harder. That doesn’t mean it’s impossible to pull off, judging by the women on this list. Check out 10 of the hottest female golfers in 2015 and tell us what you think. Natalie Gulbis has managed to take her golfing career to the next level by gaining quite a few modeling gigs. The 31 year old has long been considered one of the hottest golfers in the LPGA thanks to her blonde locks and ample … bosom. This incredibly hot 25 year old was once considered a child prodigy on the level of Tiger Woods. While she hasn’t hit those expectations, she’s not just a pretty face. She finished 2nd in the ANA Inspiration in 2014, 2nd at the 2005 LPGA Championship, won the 2014 U.S. Women’s Open, and tied for third at the 2005 Women’s British Open. This professional golfer hails from the Netherlands and she’s been blessed with those beautiful Nordic features working in her favor. The 27 year old has been part of the LPGA for four years and has three wins. No word yet on how many male suitors she can boast. Paula Creamer has long been one of the hottest women on the course. The 28 year old has also had a number of very successful runs in tournaments and has actually netted 14 wins. She has a ton of years ahead of her and plenty of men to drool over her before her career is over. Still fairly young at 23, Carly Booth has had a modicum of success when it comes to playing and even more success looking as though she might be one of the hottest female athletes of all time. The Scot enjoys embracing her heritage and has garnered a rep as being a bit of a wildcard, but it’s the crazy ones that are always the hottest. Jessica Korda is one of the youngest professional golfers on the tour and is also one of the all around hottest. This California girl hasn’t hit it big when it comes to tourney wins, but since she started at such a young age, it seems there’s no chance she won’t improve as she goes along. Though Sandra was born in Germany, she calls the United States home these days. She’s been a member of the LPGA since 2008 and while she’s incredibly hot, she’s had some problems getting victories as she has just one tournament win since she turned pro. Cristie Kerr is a 37 year old is a resident of Scottsdale, Arizona, and has 23 professional wins so far under her belt. The veteran golfer is also considered one of the hottest golfers off the course. Just take a look at the picture of Lexi Thomspon and you don’t even really need a reason why this chick has made the list. 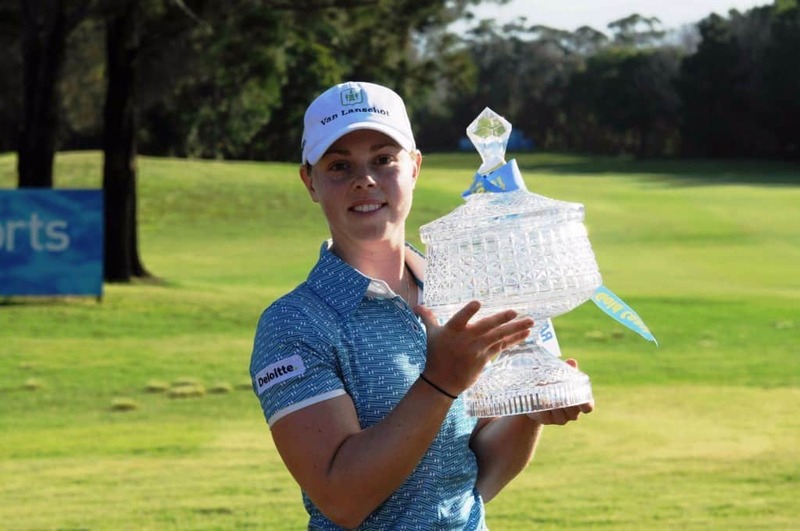 One of the youngest women on this list, the 19-year-old joined the LPGA just a few years ago, but is already getting quite a few eyes on her… career. Born in Derby, England, Melissa Reid became a professional golfer in 2007 and has represented England’s national team. Reid currently takes part in the LET Tour, which she joined in 2008. The 27 year old is still trying to really become a star, but she does have four tourney wins under her belt.